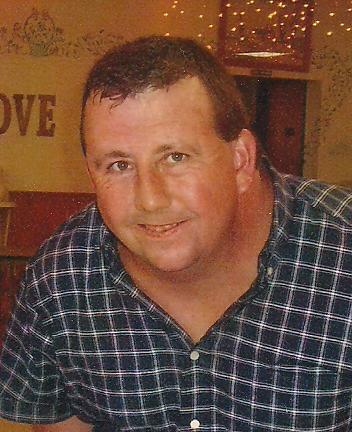 Kevin B. LeBarron - Howard B. Tate & SonFuneral Home, Inc.
Pittstown- Kevin Brian LeBarron, 45, a lifelong resident of Phillips Road, died suddenly, Wednesday, January 13, 2016, after being stricken at his home. Born in Troy, February, 2, 1970, Kevin was the son of Madeline (McDermott) LeBarron of Pittstown who survives and the late John B. LeBarron, who predeceased him July 7, 2013. Kevin was a graduate of Tamarac High School, Class of 1991. For the past six years, Kevin has been employed as a fast food worker at the Brunswick Burger King and previously had been employed for over thirteen years as a stock clerk and cart wrangler by the Walmart Store also in Brunswick. Kevin was also affiliated with the Brunswick A.R.C. and the Troy area Living Resources Program. 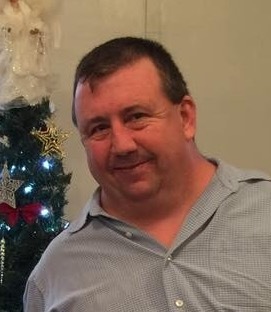 Kevin was a communicant of Our Lady of Victory Catholic Church in Sycaway, a life member of the Pittstown Volunteer Emergency Corps, and a member of the Pittstown Volunteer Fire Company. Kevin was always smiling and was a friend to all, even the people he hadn’t met yet. He enjoyed calling his neighbors on the phone to check in with them, loved riding his bike in the neighborhood and was a huge “Jeff Gordon” NASCAR fan. Above all else, Kevin enjoyed hanging out and working with the guys and girls at the squad house and at the fire house and being where the action was. In addition to his mother, Kevin is survived by his brother and sister-in-law, John “Jay” and Julie LeBarron of Pittstown, his sister and brother-in-law, Rosemary LeBarron and Matthew Pomeroy of Grafton, a niece, Alivia LeBarron, four nephews, Alex LeBarron, Ryan Lanahan, Matthew Lanahan and Tim Lanahan and many friends he has made thru the years. A Mass of Christian Resurrection for Kevin will be celebrated by Fr. Randall Patterson on Monday, January 18, 2016, at 10:00 A.M. at Our Lady of Victory Church, corner of Marshland Court and North Lake Avenue in Troy. Burial will follow in St. Mary’s Cemetery in Troy, followed by a reception at the PVEC squad house in Pittstown. Relatives and friends are invited to call on Sunday, January 17, 2016 from 2:00-6:00 P.M. at the Howard B. Tate and Son Funeral Home Inc., 2237 New York Route 7, located in Raymertown. ​Memorial contributions, if desired, in lieu of flowers, may be made to PVEC (Pittstown Volunteer Emergency Corps.,) 60 Parker School Road, Johnsonville, New York 12094 in memory of Kevin B. Le Barron.